What is wafer- how does it look and taste- you do not need to explain it to people in Kalisz. Here, every child, together with learning the tastes so wonderful like cakes, chocolate and ice-cream, experiences also the taste of wafers. For children in Kalisz the fact that wafers are round and crunchy is as obvious as that ice-cream is cold. In case of people from outside our region it is quite different. During the presentation of this local delicacy they often pose the question: “What do you eat it with?” However, after tasting a wafer, they learn it is so tasty that there is no need to use any extras with it. They are a tasty stack themselves- so crunchy and soft that there is no need to spread or stuff it with anything, just as you do in case of standard wafers. “Leksykon Sztuki Kulinarnej” [Cooking Lexicon] by Maciej Halbański defines wafer as a very soft, thin sheet of cake, baked in special -round or square moulds called “żelazko.” The word itself originates most probably from German word “anblatt” which stands for one type of Christmas wafers. According to “Encyklopedia Staropolska” [Old Polish Encyclopaedia] of Zygmunt Gloger, this name was known in the 18th century and wafers were served for dessert. These descritpions perfectly characterize wafers, which have been onterconnected with Kalisz since the times of partitions of Poland. The wafer is the product the manufacturing of which has been the same for several decades, with preservation of the sam recipe and technology. 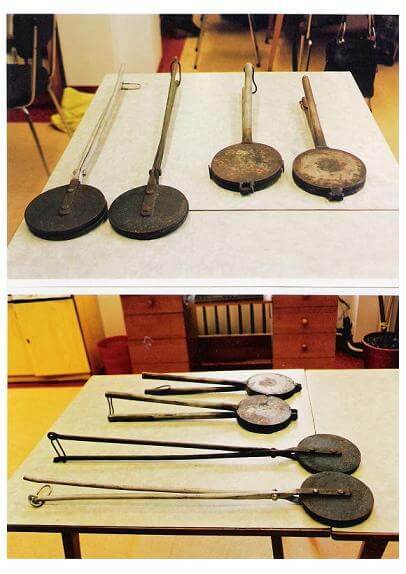 The baking utensil (the so-called “żelazko” [iron]) is heated up to the specific temperature with electricity or gas. Formerly, they were heated using charcoal or coal heated. The time of baking is very short; in fact baking and drying takes place simultaneously. The manufacturing of Kalisz wafers is almost a handicraft. Within one plant, with application of the same equipment and observation of technological regime, the repeatability of the appearance of finished product is difficult to achieve. Manual baking process- without any automation and direct influence of the confectioner on the production process makes Kalisz wafers so specific, unique, one and only. Despite all baked sheets have common features, practically each of them is different. The tradition of Kalisz wafer is very important for the history of the Town over Prosna. This characteristic product emerged in the town of cultural and national blending, resigin in the place with oldest Polish written metrics, dating back to the Middle Ages. In the first half of the 12th century (1138) the first Jews came to Kalisz and founded the community existing until the Second World War; the community was variously present in the life of the town. 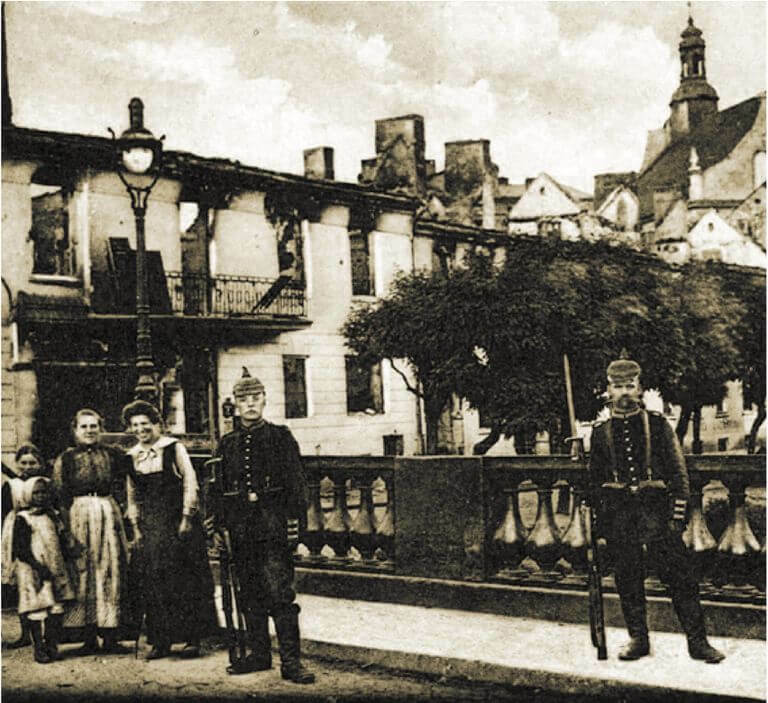 Distinctiveness of religion, customs and even cooking habits of this group of Kalisz residents largely influenced the habits of the people, shaping them in a charactistic, unrepeatable and unique way. Another group of nationals flowing to the town in several flows, were settlers from different Germanic countries. The particularly large group of Germans came at the end of 18th century, after the second partition of Poland, when Kalisz became the part of the province of Southern Prussia. Soon afterwards, German factory owners started developing textile industry, adding not only their capital and hard work to the town, but also their own cooking habits. The interesting group of town residents were Macedonians (commonly known as Greeks) who inhabited Kalisz in the 18th century. They were mostly merchants, often trading with wine. They differed from among other inhabitant of the town not only due to the religion (Orthodox Eastern Christianity), but also with their Balcan cuisine. In the beginning of the 19th century Russian came to Kalisz as in 1815 the town was within the borders of the Russian Empire. After the First World War Kalisz became the homeland for hundreds of Ukrainians who were primarily imprisoned in the nearby Szczypiorno (today within administrative borders of the town), and then inhabiting Kalisz. Until the Second World War the town was a real melting pot of various cultures and customs and the actual example of the multi-cultural society living in symbiosis and friendship for many centuries. These multi-cultural and multi-religious traditions of the town are vital for the history of Kalisz wafer, as it is indicated that wafer emerged as a multi-cultural product- the live evidnce of permeating cooking habits and -first and foremost- customs of various nations and religious groups. Kalisz Wafer origiates most probably from the tradition of Jewish matza production, so popular in Kalisz and bought also by Christians in certain amounts. However, the contents of the product makes it original and differentiates it from its hypothetical “progenitor”. The shape and size of wafer is also very distinctive. The attempts to dig into the history of its emergence and the beginnings of the tradition of wafer baking with particular focus on the traces in literary sources are still pending. So far the oldest evidence of wafer production in Kalisz area is the inventory of movable and immovable property of the manor in Wrząca, in Kalisz Department, dated 16 November 1812, where we have the entry concerning the mould for wafers at the prize of then 2 Polish złoty. The indications are that the production of Kalisz wafers commenced in the first half of The nineteenth century, and established approx. 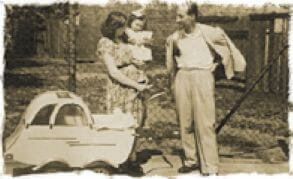 in 1850, as a middle class started to form and the city achievedthe level of prosperity. It is evident in the oral tradition passed from generation to generation in the family of manufacturers and consumers of this product. 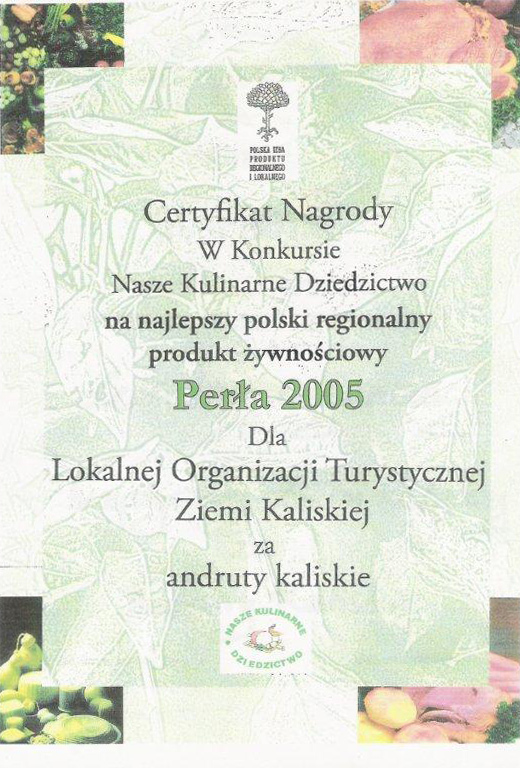 This characteristic product in Kalisz appears in written memories of former residents of the town. The similar conclusions can be drawn from the analysis of the history of the preserved equipment used for wafer production, dating back to the 19th century, and thorough analyses of which indicate traces of repairs evidencing their long-term use. This equipment was used by generations of producers and was passed, together with the recipe, from generation to generation. Wafer production was not complicated and could be performed in relatively primitive conditions. Wafer production took place in bakeries (both Jewish and Christian- Polish and German), and in numerous stores. Wafers were sold in these bakeries and stores, however the most distinctive place of sale and production was the Municipal Park in Kalish, founded in 1798 in the area of former Jesuite Gardens and urban pastures, located outside the town’s fortifications and which is now the oldes and most beautifil municipal park in Poland. Its area was enlarged several times and at the turn of the 20th century it became a unique place, with rich, exotic and decorative stands but also with numerous interesting buildings and park monuments. 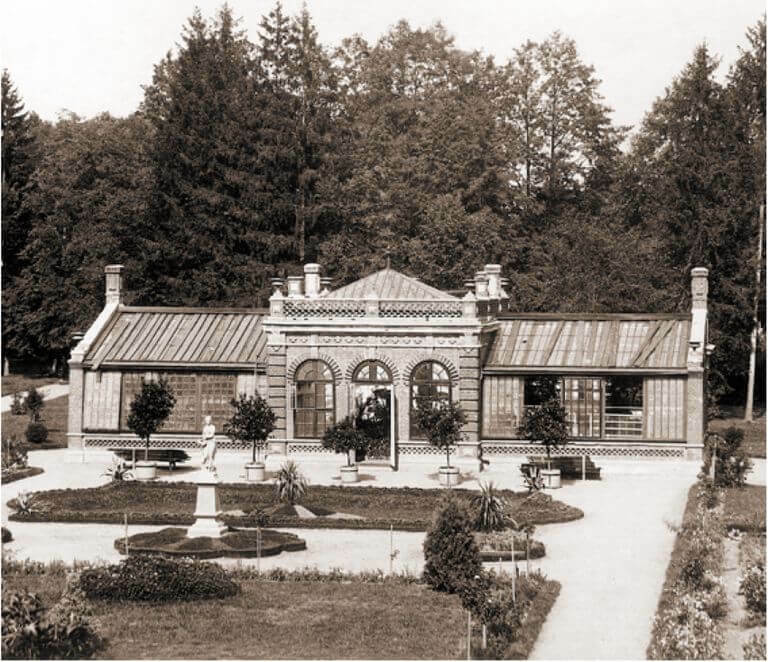 The latter incuded palm house and the so-called “Swiss House”, and -among others- Flora’s Monument and sundial, located in the proximity of the oak dedicated to Adam Asnyk. At that time the “Ancient” ruins were build in the area of the park, and the lovers of walks were attracted additionally by “Small Rooster” Pond with water fowl. From the farthers southern section of the park you could have a glance at the wide riverbed of Prosna, branching off into the main stream and the Rypinkowski canal. The stalls selling this popular delicacy in Kalisz were located at the entrances of the park, in the area of today’s Aleja Walecznych, Plac św. Józefa and the bridge- Most Teatralny- connecting the park with today’s Aleja Wolności. These stalls had always at their disposal this popular Kalisz product, together with beverages and funfair toys. 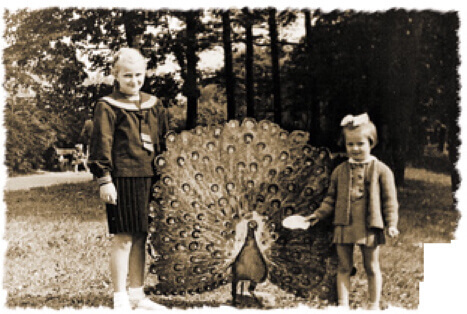 Until now, Kalisz wafer and its consumption have been connected with visit to the park, and this is how old inhabitants of Kalisz remember that in their memories of old town life. The buyers of the product have always been a complex group, representing almost all social strata of the town. Kalisz wafer appeared on the tables of the middle class as a snack with coffee, however also lower classes benefited from its taste valours, particularly because the low prices of raw materials and simplicity of production process did not impose high prices of finished products. The distinctive sweet taste of wafer caused that for one hundred and fifty years children have been a particular group of enthusiasts of this Kalisz delicacy, and the purchase of the pack of wafers and distributing it between numerous offsrping was formerly a ritual strongly connected with Sunday walk to the park. 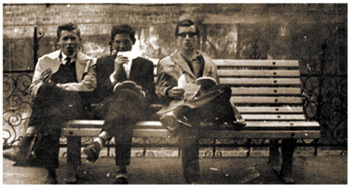 You can say that all urban social strata (regardless of their nationality, creeds or financial status) had their share in the commercial success of Kalisz wafers. The wafer, made and produced for 150 years in Kalisz, definitely constitues the urban culture. In more recent times it was known and preferred also in the whole area of Kalisz, but it was produced mainly in municipal plants, though Kalisz lost its municipal rights as a result of partition-related repressions. Also, the large scale sale of the product is strongly connected with the town, particularly with the urban park. This is a characteristic image of the product, relatively original and it does not lose its values today. One can say that the product has its soul, whereas its consumption reminds the town inhabitants of a sunday walk to the park in a sunny morning, and the obligatory purchase of wafers for the whole family. 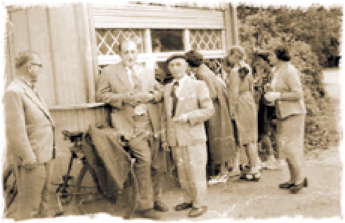 Particularly children were given the snack, however wafers were also consumed with beer, in a restaurant garden of Kalisz Rowing Association (former building of Ernest Foerster, erected in 1832), located opposite the entry gate of the part, at the side of the theatre. Strong sense of wafer tradition caused that the product became the item of export. In the collective memory the wafer is the symbol of the town, recognizable equally well with the coat of arms and and the image of the town hall. No wonder the former Kalisz inhabitants, living all over the world, very ofter import the product the taste of which they associate both with the home town and their childhood. We may risk a statement that the taste is so exceptional that is comparable with the porularoty of crisps, liked by children and much older consumers. Wafers can be snack for beverages or eated separately. It is worth remembering that Kalisz wafer, compated to crisps, does not share their disadvantages, and originates from proven recipies or our great grandfathers. This tasty and cheap wafer can become the alternative for crisps.